Corby Lighting LED Mini Globe Frosted Lamp 6W B22/BC 470lm Warm White is rated 4.8 out of 5 by 6. Rated 5 out of 5 by pombok from Very bright! Bought to replace 40 bulbs and they are a little brighter than expected. This is not a problem for me as they are under a shade but you cannot look at these directly whereas the previous 40w ones you could. Good value though. Rated 4 out of 5 by Grunny from Top value Good bright light indistinguishable from conventional bulbs. Competitively priced with great potential savings on power consumption. Rated 5 out of 5 by Yes he can from Small bulb very bright I bought these online expecting them to be bigge but they were tiny. I fitted them anyway and was pleasantly surprised to see they were really bright. Good buy. 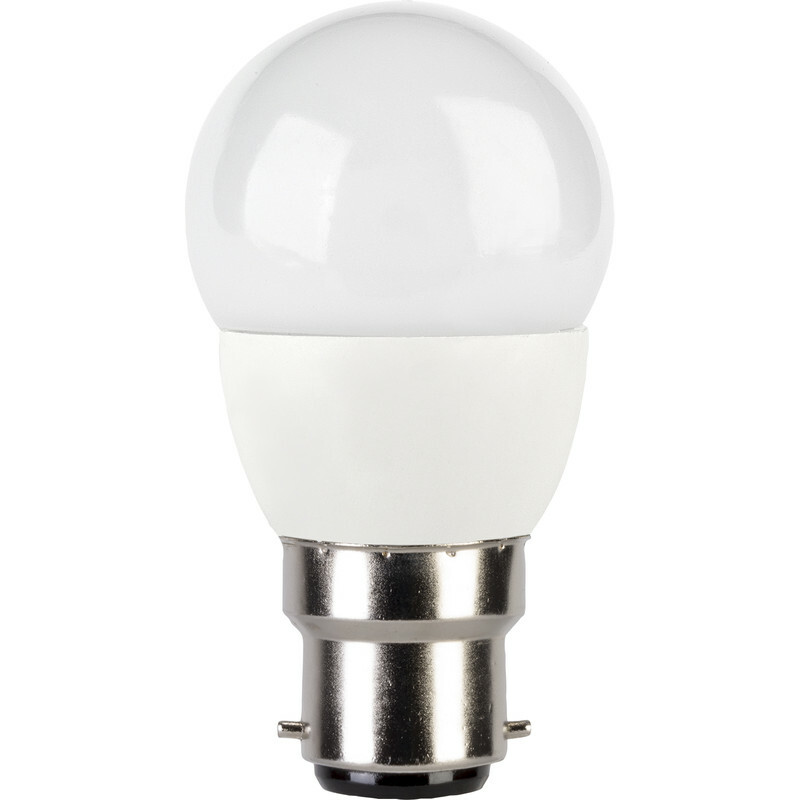 Rated 5 out of 5 by tobytall from Good Bulbs - Bright Warm White Light Purchased for a dining room, they are fairly low profile and the light given is a warm white. 6 Watts LED was much brighter than previous bulbs used. Rated 5 out of 5 by RVXS from A money saver. I bought these recently to replace 5 x 40 watt bulbs in a ceiling light, the savings in power consumption is 30 watts as compared to 200 watts its a no brainer really!